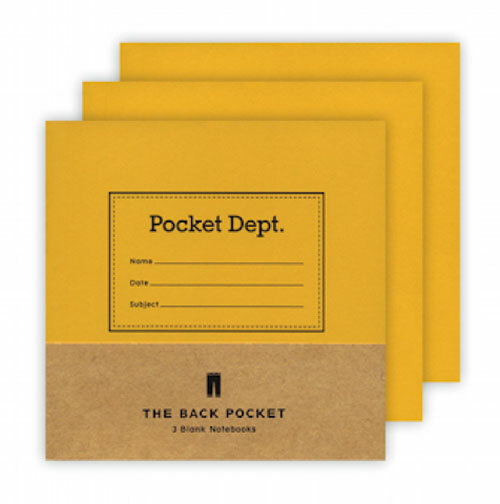 A collaboration with the Brooklyn Art Library, Pocket Deptartment is a line of sturdy notebooks inspired by vintage stationery and designed to fit every pocket: back pocket, shirt pocket, backpack, and messenger bag. These custom-tailored notebooks are ideal for capturing ideas, composing thoughts, making lists, or sketching on the go. Packaged in sets of three, these colorful books are as fashionable as they are indispensable. 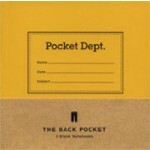 The Pocket Pack, containing one of each size, comes in a classic, interoffice style envelope with string-and-button closure. Set of three blank notebooks, 10.2 x 10.2 cm, 64 pages each.